I think it was in January of 2002 that Scott and I began to dig deeper into church history. Our journey back into history was the final blow to our faith in the doctrine of Sola Scriptura. It was clear to us that the early church did not rely on nor teach this doctrine. And yet this was one of the bedrock beliefs of the reformed church we attended and most of the Protestant churches we visited. We hadn’t yet told our pastor we were leaving but we knew now more than ever that we couldn’t stay where we were. This left us wondering more and more where we belonged. There is a quote by Cardinal John Henry Newman, a well known 19th century English convert to the Catholic Church, that explains why we felt so out of place. Although we never would have said that we weren’t Protestants—after all, we were still protesting a great deal about the Catholic Church in our debates with my parents–our study of early church history raised more questions than ever about the Protestant beliefs we’d accepted for all our lives. We studied numerous subjects at one time. I was so eager to find answers. One Sunday we debated baptism with my parents over dinner which sent us on a in depth study of baptism (more on that later). Over another Sunday dinner we talked about communion. These two debates with my parents caused us to read a book that challenged my thinking on these two sacraments, Crossing the Tiber: Evangelicals Discover the Historical Church, by Stephen Ray. The title of this book didn’t thrill me but Scott and I read the book anyway. Note: “Crossing the Tiber” is a phrase commonly used to describe becoming Roman Catholic. The Tiber River is near Vatican City and if one is on the other side of the river opposite of the Vatican they must cross the Tiber to get there. The phrase is a reference to the spiritual journey one makes when becoming Roman Catholic. The book was full of Biblical, historical and early church references as well as references to contemporary theologians and Bible scholars. And reading it was timely because as we studied baptism and communion as it was taught in the early church God also had us studying the history of the canonization of scripture in the early church. Both paths of study were eye-opening. 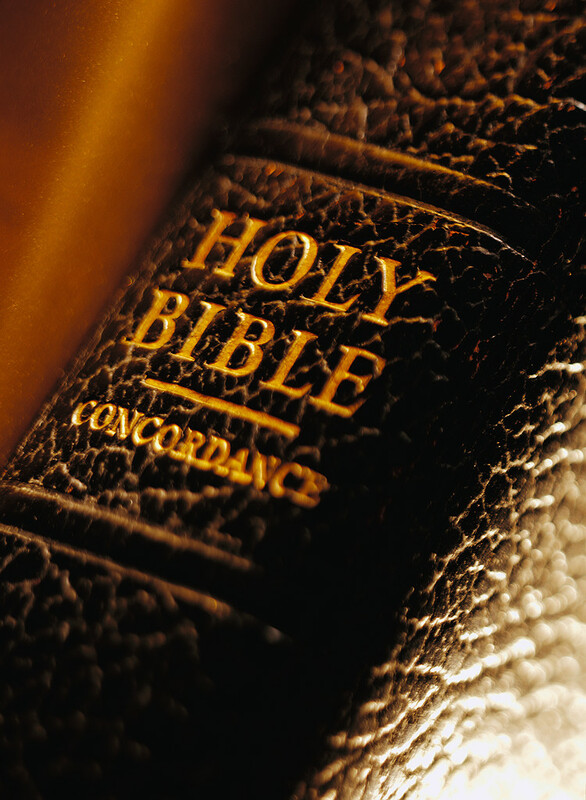 After years of discussion, debate and discernment there were 73 books accepted as the New and Old Testaments. Influenced by the Council of Rome, in 382 A.D., Pope Damasus gave a decree listing the 73 Old and New Testament Books of the Bible. In 393 A.D. the Council of Hippo canonized those same 73 books. In 397, the Council of Carthage approved the same 73 books of scripture. In 405 A.D. Pope St. Innoncent I approved the same 73 books and closed the canon of scripture. While this is a very condensed and simplified paragraph on the history of the canonization of Scripture it speaks volumes. First, it was men, leaders of the early church, who met and under the guidance of the Holy Spirit determined which books of the Bible were inspired and then put the books together and canonized it as Sacred Scripture. An important fact. It was the Catholic Church and its leaders who were led by the Holy Spirit to put the Bible together and canonize it as Scripture. This was not a conclusion that worked in my “theological worldview.” In fact, it left me questioning what I’d been taught about the early Catholic Church. 8 Responses to Chapter 1.9 – Who canonized Scripture? “It was the Catholic Church and it’s leaders who were led by the Holy Spirit to put the Bible together and canonize it as Scripture”. I consider myself neither Protestant nor Catholic, but a “Priest of the Lord” (as indeed the Bible itself proclaims we should call ourselves in the last days; see Isaiah). Peter, the rock upon which the Catholic Church proclaims itself to be built, also proclaimed that I can no longer identify with our present day form of Christianity, which indeed is a “Form of godliness, but denying the power thereof”. As a Priest, I practice spending time alone with God, parting the vail that separates us from the “Holy of Holies”, until I am infused with God’s glory (see II Cor. 3 where this process is likened to looking in a mirror but instead of seeing one’s self one “sees” Jesus Christ in his glory nad is thereby transformed “from glory to glory”). I tell you this only because that is the true way to continual salvation in Christ. That is the way to obtain “The mind of Christ”. That is how we “abide in Christ”. And it is only in that abiding that theology takes a back seat to the Spirit. Indeed, as Paul has told us, “The letter kills, but the Spirit gives life”. I discern that your life has been filled by the letter, that it has taken precedence over the Spirit. That is the only way you could make such a foolish statement as quoted above. Anyone who does the least bit of research regarding the history of the Catholic Church and it’s canonization of Scripture, will soon discover what you have so conveniently overlooked, that once they made their un-holy alliance with Rome they began a 1,300 year reign of terror upon mankind, making thousands of decrees throughout that period, each of them serving but one purpose, to put to death those who disagreed in any way with their doctrines. I suppose you never read those decrees, but I have. They plainly state the Catholic Churches intention to put to death anyone who would dare harbor those scriptures that were not canonized, which books were ordered to be burned by the Catholic Church. And the truth of this is abundantly revealed in account after account of fellow Christians be dragged from their abodes, tied to a stake, and burned with the very non-canonical scriptures they sought to protect. If you cannot openly admit to these grevious errors then I guess that makes you a true Catholic. May God have mercy on your soul. Opps. I had to help my wife get in bed and left a passage unfinished. Where I said, “Peter, the rock upon which the Catholic Church proclaims itself to be built, also proclaimed that … ” should have continued thus, “we are all members of the Royal Priesthood, both male and female”. The purpose of this quote was to show Peter’s continuing growth in understanding. Just as he had to be shown the vision of the sheets and animals, forcing him to accept that God’s word should also be given to the Gentiles, so Peter moved from a strict heirarchical church structure with Pope and Bishops and priests, to a deeper understanding that we were all indeed, “Members of the Royal Priesthood”. I then continued with the next sentence, “I can no longer identify with our present day form of Christianity…”. My turn to say wow. It’s December the 21st and my heart has been steadfastly preparing for Christmas throughout Advent. I sense the Lord saying to me that these next four days are meant to be spent with Him and my family and not on my computer. So, even though I’d love to sit down and spend time writing, I need to respond with obedience to the leading of my Lord and focus on my family and the upcoming celebration of His incarnation here on earth. While you and I may not agree on several things I bet we can agree upon this: God’s grace has been poured out on us through the precious gift of the incarnation of Christ and the gift of the cross. And the Father, the Son and the Holy Spirit, deserve our continual praise for this gift. That being said, I will take time to address the issues you raised in your comment (that is if you are interested in my answers :-). But, it will have to wait until after Christmas. Thank you for praying that the Lord has mercy on me. I need His mercy and grace daily and gladly receive the news that you are praying for my soul. I will say a prayer for you at Mass today that you have a blessed holiday season with your family. I look forward to the challenge of responding to your comment. Thanks for dropping by. I hope you had a peaceful Christmas. Sorry it’s taken me a while to respond. I’ve been enjoying family time this week. Lots of play time with my little girls. I’ve identified several topics/issues that you touch on in your comment and I intend to address a couple of them. Before I respond I must say that some of your statements in your comment suggest to me that you’re more interested in sharing your condemnation of my faith than in having a charitable ecumenical dialogue about our differing interpretations of Scripture. Regardless, I will keep my word and respond. I hope that if we have any further dialogue it will be charitable and in the spirit of trying to better understand one another. I do not expect that some blog dialogue or post is going to change either of our convictions but perhaps we can create understanding regarding one another’s interpretation of Scripture. In order to do that all things must be done and written in love. Rather than post my responses in the comment section I will go ahead and put them on a daily post on my blog. It will be much easier as some of my answers require more content than I would want to put in a comment section. You are missing the point. Just because the Catholic church canonized the scripture doesn’t mean it’s correct; in fact, because of the politicism that was already creeping into the church at this point, there was a specific political agenda that swayed the canonization of certain scriptures. So unless you want to base your faith (well, actually your religion) on politics, keep an open mind. Men are fallible. The bible is fallible. Therefore Men who decide what to put in the Bible could have really screwed stuff up. Thanks for dropping by and sharing your thoughts. As I see it, it’s not that I’m missing the point, it’s that we don’t agree on your point. And that’s ok. I happen to believe my infallible God can and has chosen to infallibly protect the truths of the Christian faith through the church. My religion/faith is not based on men but on an infallible God who works through fallible men in order to protect and pass on the truths of the Christian faith. The canonization of Scripture is but one example of this.